A working party of 12 today, including the first session for a long time by Trevor Wilford. Neal Woods visited to advise on a few matters during the day, and Les Harper visited late in the afternoon. 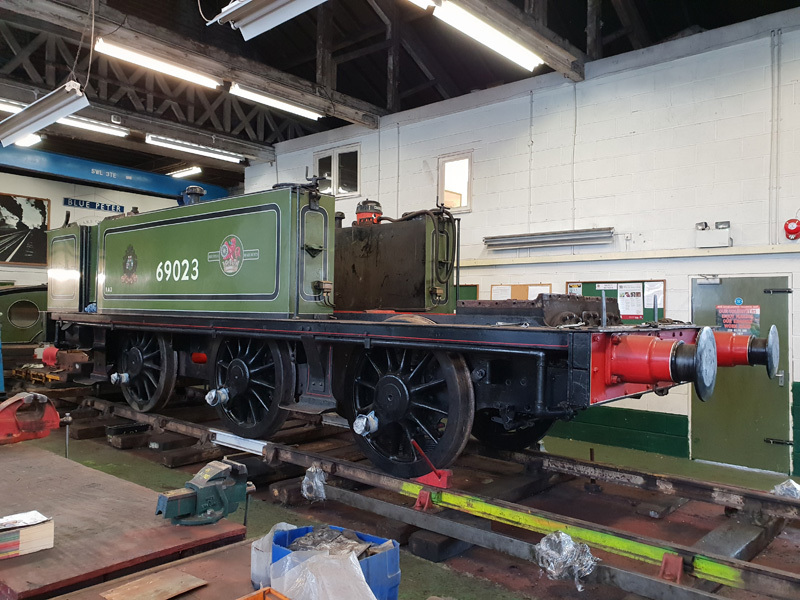 Arthur Jenkins ad John Jones turned a scrap washout plug into a gauge glass retention bolt to replace the one found to be missing from the Q6 gauge glass protector yesterday. 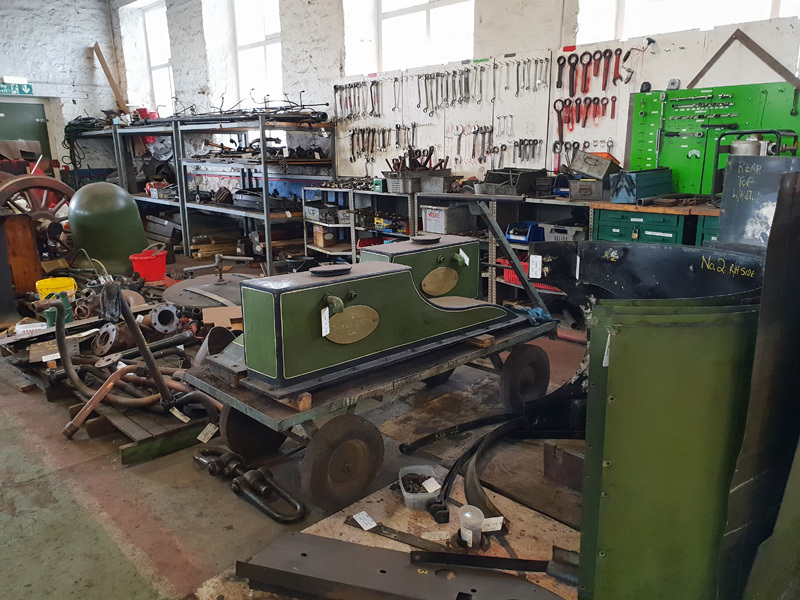 Dave Wright and Derek Shorton continued wire brushing the boiler whilst at the opposite side Steve Gibson and Harry Sams removed the stubbon bolts holding the firebox crinoline bars. James Piercy and Allan Wilson disconnected the springs from the axle boxes. Trevor Wilford welded a piece onto the broken ash pan bracket. Colin bowman replaced the non-functioning light above the woodworker's corner. I managed to get another coat of paint onto the back of the cab and the coal rails. A good day's work - thanks everybody. 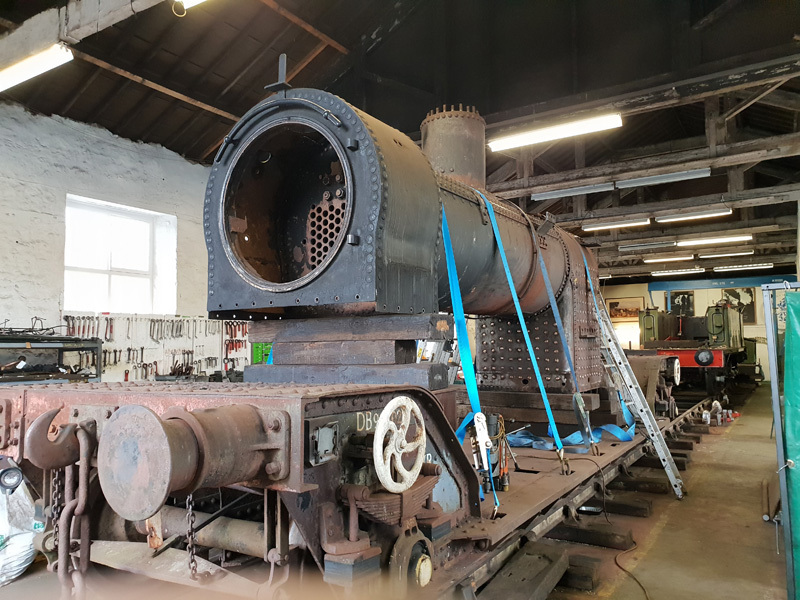 James announced that the loco was now fit for lifting from its wheels.